Picture a scenario. Three companies come to your home to do a window replacement estimate. Two of the companies offer fairly similar quotes, but the third one, whether by means of discount, promotion or negotiation, provides you with a quote that’s several thousand dollars less. All three companies swear that their vinyl windows are of the highest quality and their window installers are the best in the city. Who are you most likely to go with? See, unfortunately, there are too many companies in our industry who benefit greatly from unsuspecting and unknowing customers. And while to you a window is a window, and even after it is installed you may not know the difference, there are numerous ways in which companies can leave you with a lesser product or workmanship. How? Most often by withholding information, or passing it off for something it isn’t. That package that costs several thousand dollars cheaper? Chances are, it is an insert/retrofit installation. Some companies simply don’t mention how your windows will be installed, hoping you haven’t done enough research to ask. Others may tell you that the installation will be of high quality, failing to mention what kind of installation it is in the first place. They do it to maximize their profit, without actually addressing the homeowner’s needs. Retrofit installations are ideal for homes where the frames haven’t begun to deteriorate and aren’t showing signs of moisture damage or rotting. 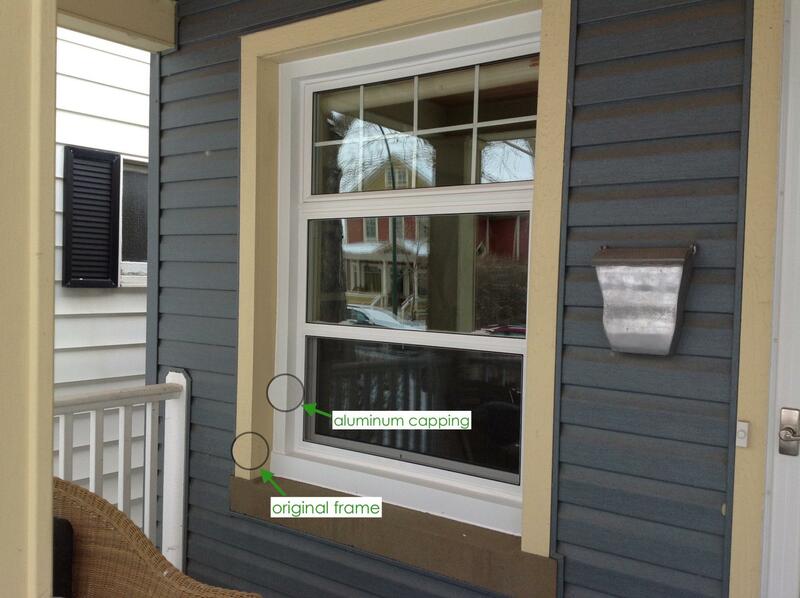 Even then, aluminum capping is a quite dated and a less than ideal solution for the longevity of your new windows. Capping can still allow moisture in, and the wooden frame underneath it is not allowed to breathe properly, making it susceptible to mold. Aluminum cladding is a common exterior finish for insert windows. It looks significantly different from full frame replacements. There are Canadian window companies that specialize only in full frame installations, and ones that do both kinds. Although we prefer full frame replacement because it is more thorough and there are fewer problems with it down the road, there are still instances when we recommend insert installation to our prospective clients. Unlike other companies, we want to make sure our clients know exactly the kind of installation they are paying for, and exactly what they are getting. One Thing You MUST Know Before Scheduling A Window Replacement Quote Overall rating: 4.9 out of 5 based on 41 reviews.